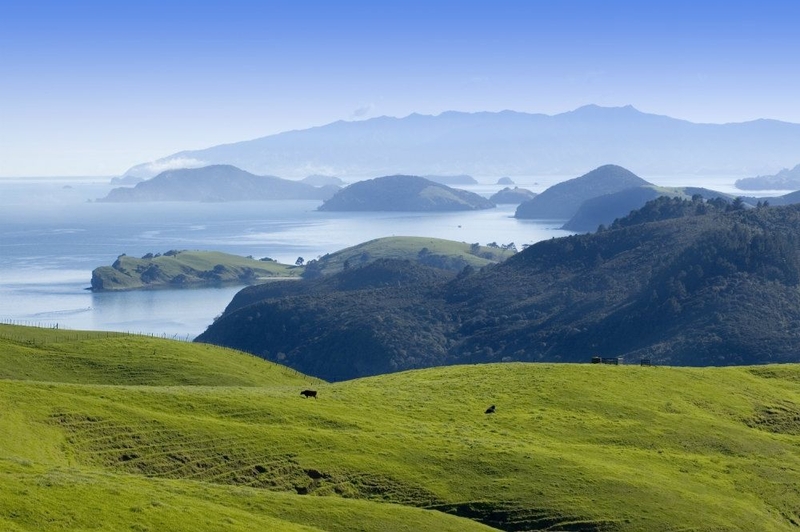 360 Discovery guarantees a cruise to remember around some of Auckland's most stunning islands and coastlines. 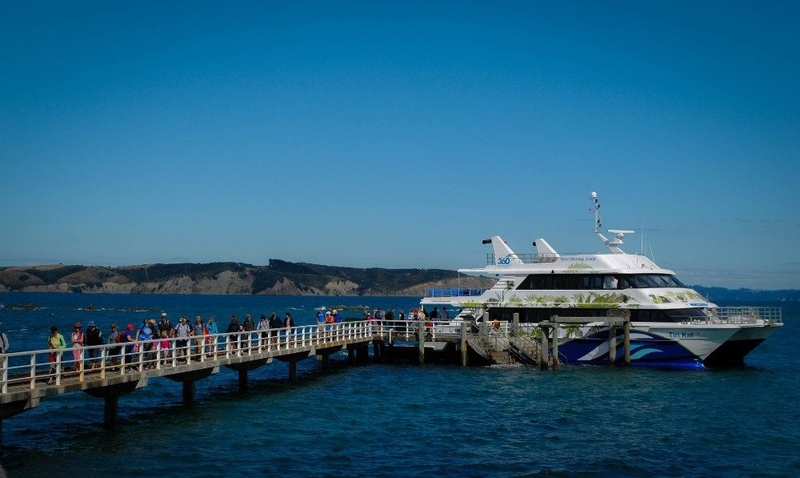 360 Discovery offers a range of cruises to some of the Hauraki Gulf's most beautiful islands for both tourists and locals alike keen to get out and about and experience what the City of Sails and the Hauraki Gulf have to offer. 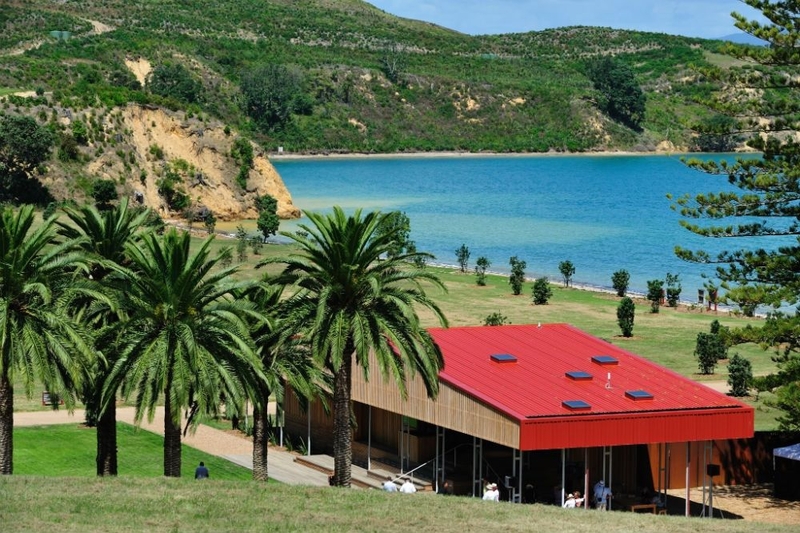 • Visit Rotoroa's award-winning exhibition centre and discover the history of this unique island and its heritage buildings. • Walk through native tracks among regenerating NZ bush. • Relax and picnic on one of four beautiful sandy beaches located around the island. • View the mast from the vessel Tiri II, Radio Hauraki's pirate radio ship which broadcast from the Gulf and was eventually decommissioned on the island. • Go fishing off the wharf at Home Bay or try catching a snapper from the rocks off one of the island's bays. • Visit the seven metre high Chris Booth sculpture on the island's southern headland. 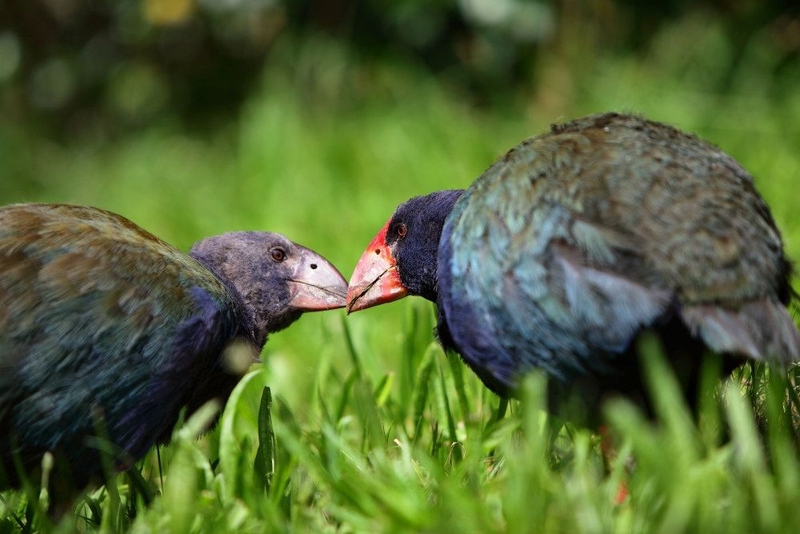 Rotoroa Island is the Hauraki Gulf's newest wildlife sanctuary and in partnership with Auckland Zoo, the Rotoroa Island Trust has begun to release endangered native species on the island, including kiwi, saddlebacks, reptiles and Takahe. • A true wildlife sanctuary which is home to 12 of New Zealand's endangered birds and 3 reptile species. • Visit Hobbs Bay for a swim and picnic. 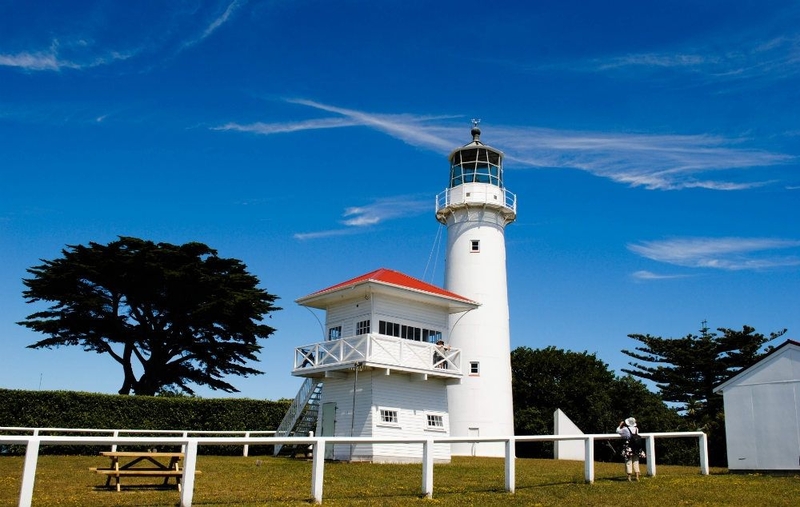 • Explore Tiri's lighthouse, built in 1864, it's the oldest lighthouse of its kind still in its original condition. • Walk through beautiful lush native bush and coastal forests. • See one of New Zealand's oldest pohutukawa trees, estimated to be 800 - 1000 years old. 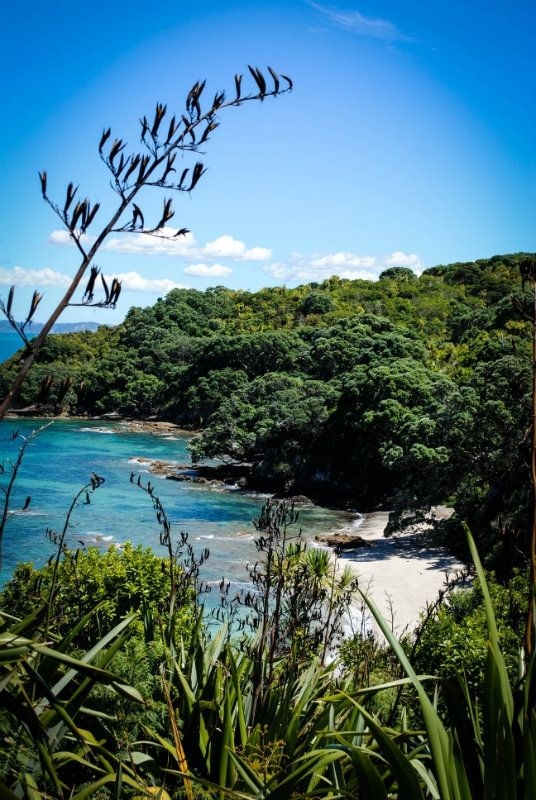 • Join The Supporters of Tiritiri Matangi on a guided walk and learn about the exquisite birdlife. 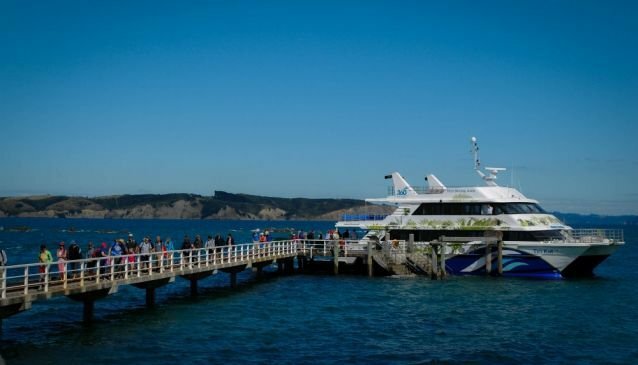 • Catch a 360 Discovery ferry from Downtown Auckland and take a relaxing 2 hour cruise through the Hauraki Gulf to Hannafords Wharf, close to Coromandel Town. • Catch the free bus shuttle into Coromandel Town. 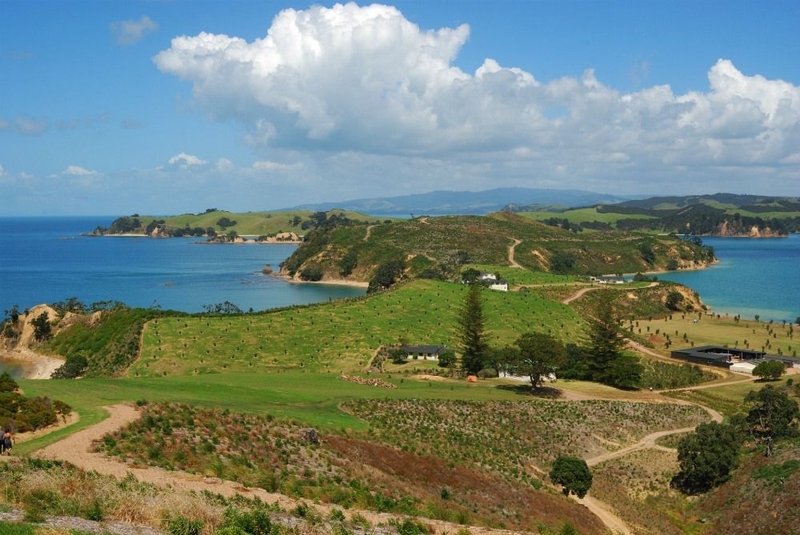 • Explore historic Coromandel Town with its rich gold mining history, unique arts & crafts and great cafes. • This gateway to the Coromandel Peninsula also offers tour options to world-class beaches, including Hot Water Beach and Cathedral Cove. • Or simply explore The Waterworks: an exciting garden filled with interactive play and gadgets all worked by water or the Driving Creek Railway: NZ's only narrow gauge mountain railway train tour which takes you through kauri forests and tunnels. • All vessels have a fully licensed bar and a wide range of catering options available. 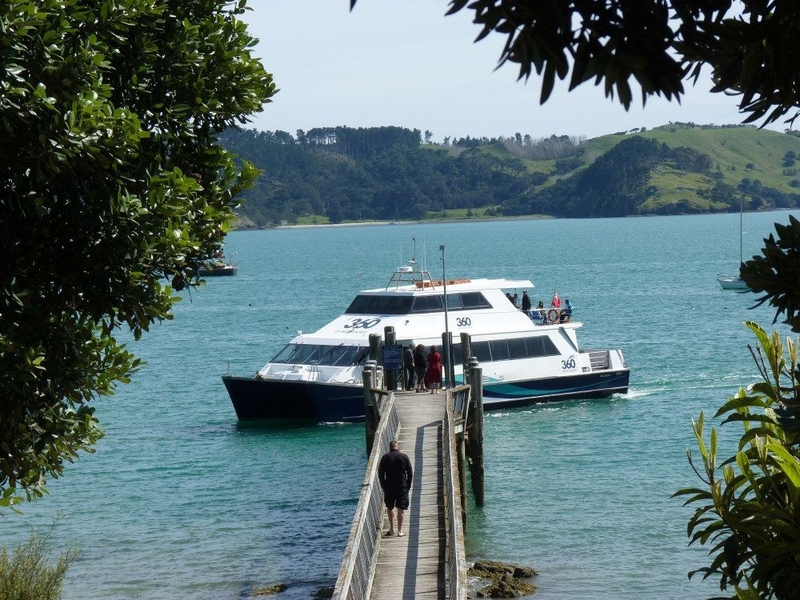 • Sailings also depart from Orapiu on Waiheke Island and provide a perfect means of transport for your Coromandel Wedding! For more information on destination, timetables and fares, visit 360discovery.co.nz, or call 09 307 8005.